Integrated healthcare is becoming a worldwide trend, and Allegacy FCU is taking it to the next level. Ashley Kohlrus, COO of Allegacy FCU, and Karen Sigmon-Smith, Managing Director of WellQ, join us to talk about their audacious plan to transform community health outcomes through an integrated membership model for health and financial wellness, along with the lessons learned along the way. Define yourself through the positive, not the negative. Allegacy and WellQ approach health by asking not what’s wrong with you, but what’s right with you. Allegacy works to reveal that we have the resources to heal ourselves, but we don’t do the right thing for ourselves and our families because we are afraid of the cost. Tying health to financial success is no longer just a pipe dream. There’s now more than enough research data out there to make the prudent business case for this approach, not just a well-wishing theory. By doing well for yourself, you can do well as an organization. Measure success based on what matters to you. Allegacy and WellQ measure success when someone “gets it,” when they understand that their health and finances are inextricably linked. They use this type of inspiration to change the trajectory of community health outcomes, and to help engage people in their own personal growth. Cameron: Hello and welcome to another episode of the Remarkable Credit Union Podcast. Cameron: We created our podcast to help leaders and marketers think outside of the box about marketing, technology, and community impact. Each episode, we bring on expert guests from inside and outside of the industry for conversations about innovation. Our goal is to challenge your preconceptions about business as usual and provide you with actionable takeaways that you can use to grow your membership, increase share of wallet, and magnify the positive impact in your community. Cameron: Today’s big question: can credit unions create a unique differentiator in business advantage by focusing on physical, mental, and financial well-being holistically? Cameron: Today, I’m very excited to welcome two guests from Allegacy Federal Credit Union and an associated program of theirs, WellQ. First, Ashley Kohlrus, the COO of Allegacy Federal Credit Union. She’s been with Allegacy 15 years in numerous roles leading up to her current position. On the personal side, she is the proud mother of two children, one of whom turns six tomorrow, happy birthday, and a three-year-old daughter. Cameron: Karen Sigmon-Smith is the Managing Director of WellQ, which we’ll be hearing a lot about today, and she has been in the health and wellness field for 25 years. Preventative health education is her passion as demonstrated by the fact that she is also a certified wellness coach. On the personal side, Karen has a son who is five-years-old and starts kindergarten in the fall, which she is no doubt, very excited about. Cameron: Karen and Ashley, thank you for joining us today. Karen Sigmon S.: Thank you. Ashley Kohlrus: Thank you, Cameron. Cameron: All right. I’d love to start off with just sharing a little bit about how the idea of WellQ came about, what problem it solves. Ashley Kohlrus: Great, Cameron. This is Ashley. Just to give you some interesting backstory on WellQ, Allegacy, over 10 years ago, started an employee wellness program. We had great success. It was very customized and totally focused on our employees’ well-being. Over the years, we’ve been fortunate to see our employees’ overall well-being improve, and a lot of recognition from those employee testimonials from a local level, regional level, and then a national level where other people have looked to us and we really transformed from a wellness program to truly, a well-being culture. Ashley Kohlrus: We actually created, in partnership with our local YMCA of northwest North Carolina, we created a savings account called the All-Health Savings Account. That account rewards you monthly for your visits to the YMCA. If you’re a member of Allegacy with a savings account and you’re going to the Y, the more often you go, the more earnings. You can make dividends into that account. We’ve seen great success with that. We’ve been fortunate to have that researched from Harvard Business School, their School of Public Health. We’ve had the Robert Woods Johnson Foundation review that in terms of just the research and the connection between physical and financial health. Ashley Kohlrus: As you say, the rest is history. Over probably a year-long process of brainstorming, research, reaching out to the community, identifying needs came the inception of WellQ and now we’re celebrating our one-year anniversary of giving this service to our community. Cameron: I’m curious where, I’ve done a fair bit of reading on my own because I’m fascinated by the concept of wellness and the intersection between wellness and different areas of our life and how they can either amplify or drag each other down, so where did you guys get information from existing initiatives and how is it unique? Ashley Kohlrus: For us, again, really the inspiration was seeing the health and well-being of our employees. When we see that their risk factors were reduced from their overall care or we’ve been able to see physical changes with weight loss or their testimonials of reduced medications, those really started helping us see some of the pillars around the physical component of well-being. But at Allegacy, we had identified there are really five pillars to holistic well-being. Another component that we know is correlation to well-being is the financial care. Ashley Kohlrus: That inspiration to do something bigger, at a bigger than we’d ever done before, and take it to our community is where the impetus began. Cameron: And it’s a really impressive program when you go through the site. Can you give us just a quick overview of, if someone becomes a WellQ member, what are the benefits they get, and to what extent does it overlap with Allegacy services, and to what extent does it overlap with some of the many other, I guess, medical and more health resources you’ve brought in? Karen Sigmon S.: Sure. Cameron, this is Karen. I’ll take that one. Karen Sigmon S.: As you know, physical health and financial well-being are intricately interwoven into one another. When you think about people that are constantly battling financial struggles, a lot of times the first thing that falls to the wayside is preventative health. That’s a very sad truth because people actually have with themselves, by and large, the ability to heal themselves and to be well, but they fear the costs that are attached to it. 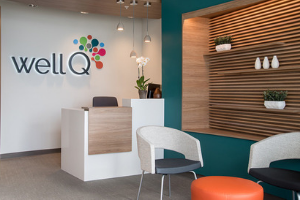 Karen Sigmon S.: When you become a WellQ member, the benefits include clinical aspects, they include financial consultation and services, but the integration of the two is really the differentiable of WellQ. By that, I mean we look at the whole person. If someone comes to us, in the clinical setting for example, a lot of times in healthcare today, the first question to answer is what’s wrong with you and how can we fix it? At WellQ, our approach is more of what’s right with you and how can we help you be your best you? Karen Sigmon S.: What we do is we assess them on both levels. We assess what are their health-related behaviors? What’s their lifestyle like? Given that, we do a comprehensive health risk assessment. And given that, we can determine are they on a course to develop diabetes, for example? Are they on a course to develop chronic fatigue syndrome or heart failure? When we look at these behaviors and those things that it looks like they’re headed toward, we’re able to inform them of what that’s going to cost them and what that means in terms of do they need to save, do they need to invest? How is that going to impact their relationship with their family? How is that going to impact their productivity at their job? All those things are interwoven. Karen Sigmon S.: Then we address the financial side of it to help them understand how they can save smarter, how they can invest smarter, how they can take control of their health in a way that benefits them financially and physically. That’s really the differentiable with WellQ. Coming from a long history and a career in healthcare, I think it’s safe for me to say that healthcare sadly has become very transactional and WellQ is not about a transaction. We are not about prescribing a medication to get someone out the door; we are about listening to the person and understanding from them what is their wellness vision? If they could have their ideal health, what would it look like for them and how can we help them get there using our resources medically and financially? Cameron: I think that’s such an inspirational message because I just think of both healthcare and the financial sectors, two of the biggest walled fortresses in the world today, that just scare the average person off with the department of their jargon. We often end up only going there when, as you said, we feel like something is broken. I think that’s such a great differentiator in how you look at it. Cameron: I’d love to know, with such an innovative program, what’s been the biggest challenge you’ve encountered so far in getting it up and running? Ashley Kohlrus: Cameron, that’s a great question. Obviously, as you’re referencing and we referenced, this is innovative. It is, to our knowledge, the first of its kind. We are aware of membership models similar to WellQ for just the physical, and then membership models similar to WellQ for just the financial, but we are not aware of anyone bringing those together where the health and financial well-being can truly go better together. Ashley Kohlrus: We know that there’s a lot of advocacy in our industry to have a case for credit unions and healthcare collaborating, but again, and we’ve been very fortunate that the National Credit Union Foundation actually, their Executive Director, Gigi Hyland, has written a white paper about this very need for the two to collaborate. But it is unique. It is, to your point, two very large types of industries coming together and helping people better understand what Karen shared of how it’s uniquely different when we came together to move away from anything transactional-based for either organization and move to a relationship consultative-based effort to provide physical and financial care differently. 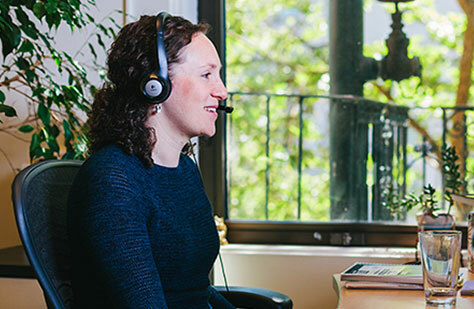 Ashley Kohlrus: Those are really important because consumers, they have financial struggles, but they’re not always likely to make [inaudible] in a way in which we can understand them to help them. Also, that can then prevent them from other health habits. There’s been a lot of literature out there. I mentioned one, but also, there’s folks out there that talk about no matter how much money you have, you can’t get out of bed, it doesn’t matter. You can be very health but if you’re frazzled about debt, then there can be those connections and while people are aware of them, because this is new and different, creating awareness as to how we can help and where we can help, and what WellQ’s all about is, I believe, the biggest hurdle in terms of just creating that awareness, understanding of everybody sees all these concerns, but they haven’t seen anybody before us come together to help address this concern. That’s where we’re here to help them. Cameron: I’m probably vaguely obsessed with wellness; I think about it a lot as an employer of how do we do the right thing for our employees? You guys have had an amazing journey, I know, with your wellness program you set up. I remember I had a bit of a failure, we’ll say, a couple of years ago where I set up our annual retreat and I structured it so that every morning we had light exercise and quiet time to reflect, and then we had light yoga on the breaks, and we had a walk on the beach at one point, and we had all the food was kind of … There was no processed food, really tasty, fresh, healthy. Cameron: It was interesting because it was almost too intrusive and people were kind of like, “I don’t really want that from my employer.” So I was like, “Okay.” Stepped it back. So I’d love to hear, since this is just maybe one, both finance and healthcare are so incredibly personal, and it’s a different kind of concept as you talk about, how do you guys go about recruiting members and who’s joining? Ashley Kohlrus: That’s a great question. I’ll let Karen speak to what we’ve seen from successes so far, but when we initially embarked on this journey, we recognized that sometimes there are unknown, unmet needs and we have the ability, through this, to your point, to overcome those unknown, unmet needs. You have to do it in a way to where it is well-received and it meets the person where they want to be met. Ashley Kohlrus: Part of WellQ too is some people may choose to start their path with WellQ for more of the physical care and that might be a more comfortable place to start, or someone may choose to start WellQ from the financial care and that’s where it’s more comfortable. Not everyone will necessarily embark on the total care initially because I think they also have to gain the trust, as with any relationship, your financial relationship or your healthcare provider relationship. Creating that trust and then meeting them on a customized, personalized level because one-size won’t fit all. Ashley Kohlrus: I think Karen can share where we’re seeing the most interest thus far. Karen Sigmon S.: Sure. I think, as you all know, Allegacy Federal Credit Union’s a very, very community-oriented organization and is very engaged in our community, and so is Wake Forest Baptist Health and Medical Center that we partner with. So really, just knowing that the people across our cities and our communities recognize the wellness culture that Ashley alluded to earlier within both of those organizations. There’s a trust from WellQ with that already. Karen Sigmon S.: So we leverage the relationship we have with community organizations and help them understand that the relationship that they’re looking for with the financial advisor as well as a healthcare provider, is right here at WellQ. Because we are so community oriented and have so many relationships with community organizations, that part is pretty easy. As Ashley alluded to, just getting people to understand the model, it’s so different than anything else that’s ever been done especially in our area, so getting people to trust and to understand the model and realize that there is nothing hidden. It is a great service for a great cause and the benefits are numerable. Karen Sigmon S.: I think for anyone who encounters a transaction either in the financial industry or the healthcare industry these days, if there’s any kind of interest in more of a relationship, that’s when they are directed to WellQ. Within each of our industries and each of our organizations, we make sure that those people that we encounter understand that WellQ is here. Karen Sigmon S.: There are a few employers in the area, we’ve purchased memberships for their employees as way to retain top talent, maximize productivity, decrease absenteeism, all the things that you hear as benefits of corporate wellness programs, and really, we even take it a little bit further because, to Ashley’s point, some people come to us because they want the wellness side of it. They want a relationship with a provider who will work with them on sleep, stress, diet, exercise, that kind of thing. Others may not come to us until they’re actually sick and then they realize what they’ve been missing. Then others come to us through the financial side because they want to understand how they need to plan better for their health outcomes and how they can better care for their family. Karen Sigmon S.: A lot of companies, a lot of individuals, and a lot of organizations who value their health and value that relationship are how we recruit. Ashley Kohlrus: Yes. I would share too there are organizations, employers who have a high deductible healthcare plans. This is a really nice way to round those out. There’s a business with a high deductible healthcare plan and they want to offer an additional employee benefit, this is one at a cost that is affordable in cost and has significant positive impact to their overall well-being. Those are a lot of the businesses that we’re seeing and people, individuals who are coming to us, who want some additional care but maybe at a high deductible healthcare plan, it’s hard for them to maybe see the ability to go for all the business they need to go to. So coming to WellQ is an additional way to round out their overall care and hopefully at a very affordable cost for them. Karen Sigmon S.: And I would just add that we’re in an area where there are lots of entrepreneurs and we’re known for arts and innovation. There are a lot of small businesses that maybe do not have a budget to provide a full medical benefits package and they look at WellQ as certainly a benefit that they can afford for their employees and encourage them to engage to stay healthy. We do have a fair few of those. Karen Sigmon S.: We’re also in an area where integrative health and integrative medicine and functional medicine are really, really gaining ground. A lot of people are very interested in that. However, they can’t afford the typical fees that go with that. They actually are able to get that through WellQ at a much reduced cost and actually, with even greater benefit because of the financial piece as well. Cameron: I’m a little disappointed you don’t offer this in Portland, Oregon because we would sign up, but I understand. You guys are chartered in North Carolina. Cameron: Can you share some success stories from your work, members who are seeing benefits from being able to access the preventive and comprehensive, both health and financial services they get through WellQ? Karen Sigmon S.: Sure. We have several companies that have engaged with us on an integrative wellness program where we were able to really dive deep and figure out how we could address the healthcare needs and the financial needs of those individuals. Karen Sigmon S.: Through that program, we have been able to reduce individual biometric values, such as their A1C or glucose, which measures the risk of diabetes. Through one particular program we did, for example, there were 17 individuals upon enrolling who were either pre-diabetic or diabetic, but at the end of the program, five of them had fallen back into the normal category completely and that was after three months. After the program, 83% of the participants had lost some percentage of their body weight. Of course, that was very attractive to them in itself, but for us, it also meant reduced cholesterol, reduced blood pressure, and reduced A1C as well. Karen Sigmon S.: There have also been individuals who have come to us because they’ve been treated long-term for something. Say, for example, sinus infections. They’ve been on antibiotics for years and years for that. When they come to us, they just think they’re going to get a medication refill, but what they get from us is a discussion and an exploration of their health habits and their lifestyles, which then resulted in learning that they didn’t need the antibiotic at all; what they needed was an over the counter allergy medication and a diet change. We have one particular individual who, after 10 years of being on three or four rounds of antibiotics consistently, has not been on an antibiotic for the last 14 months since she first came to WellQ. We’re pretty proud of that. Karen Sigmon S.: There’s also a gentleman who came to us to be well, and he wanted to do all that he could, but there were certain constraints. The gentleman was in a wheelchair and he was not able to exercise other than chair exercises, chair yoga, chair weights, that kind of thing. He also had a big restriction on his eating plan and that was that he ate three meals of fast food every day and he was very upfront with us in saying, “I’m not going to cook.” We have providers that go above and beyond and want to meet people where they are, as Ashley mentioned earlier. Cameron: Wow, those are incredible stories. I would love to know, from a marketing standpoint, do you feel like WellQ is proving to be a smart move for Allegacy? Is it improving brand recognition, helping the bottom line, helping other key metrics you guys look at? Ashley Kohlrus: Yes, Cameron. This is Ashley. Ashley Kohlrus: I will say at Allegacy, our brand promise is to do the right thing for your well-being. So for us, WellQ is a natural extension of the Allegacy brand and the Allegacy brand promise. Having WellQ is truly providing the well-being. We were very intentional when we did the brand promise that we didn’t say to do the right thing for financial well-being, because even at Allegacy prior to WellQ, we knew there were five pillars to well-being. Now having this partnership and collaboration truly demonstrates the brand promise in action, and we have an extended brand advocate now who’s seen WellQ and seen what we’re doing there to provide care differently and they’re helping to advocate for the continuation of supporting our community, positively impact the lives of our community, and helping people see that well-being is so much more than any one part individually and it’s a collective component of taking care of someone. Cameron: So one of the things, I suppose, full disclosure, I should have said is Allegacy is a client of PixelSpoke and they’ve been a great client. As a result, I had an opportunity to visit you all in-person back in 2016. I got a brief tour afterwards, not just of Allegacy but of the region. It’s a very, as you said, it’s obviously a very innovative area, it’s a hot bed of research. There’s an impressive intersection of, it seems like, the university system and the medical research field and the entrepreneurship sector. Cameron: With all those, I think, favorable things which have led you guys to naturally have this big success, I would love to know your thoughts for another credit union that maybe is not in the middle of the research triangle, maybe doesn’t have some of those advantages, resources you have around there, if another credit union said, “I get this. It moves the needled as a cooperative, it moves the needle for our members on every level, and it also can be a strategic differentiator,” what advice would you give them to take on a pretty audacious and innovative effort? Ashley Kohlrus: Well, it is audacious and innovative, so the credit union does have to have an appetite for big, hairy, audacious ideas, and the appetite for being an innovator and failing forward where needed because obviously, there’s learning throughout any innovation. Ashley Kohlrus: But I think the biggest piece is, again, there’s a business case for any credit union to have a business case to have the link between physical and financial stability. There’s enough research out there to provide the business case to say, “These two are hand-in-hand and the healthcare expenses can be a top cost for a family.” Finding a way to overcome those financial struggles based upon physical habits and vice versa, it’s those connections between we know people having challenging with savings and that healthcare can be a reason for bankruptcy. Ashley Kohlrus: We all recognize the stats that are out there, but someone who’s willing to take this on has to truly have the executive leadership, and the belief from the top that there’s a connection here, and a passion to do the right thing in terms of advocating for someone’s well-being, and recognizing that with any new innovation, whether it be a subsidiary that someone creates or just a partnership such as our All-Health Account and a partnership with someone. You have to be willing to learn and take those learnings and continue for constant improvement and as you continue to learn from the consumers, sometimes you have to make model changes because again, those unknown, unmet needs of the consumer have to dictate where you best support them. Ashley Kohlrus: Those with an appetite to try something different but who believe in it and believe in it from a value alignment will be most successful. Cameron: I’d love to just close with, there’s so much we talked about and there’s so much great work you all are doing, is there anything from a final take standpoint that you’d love to leave our audience with? Anything you want to reiterate or anything we didn’t get through today? Karen Sigmon S.: Well, I would just say that at WellQ, we measure success when someone gets it, when they get truly how interwoven their financial and physical well-being really are. We see people getting it every day. We take that in stride and we know that we are becoming a force to be reckoned with, if you will. Our goal is to change the trajectory of community health outcomes in our area. Karen Sigmon S.: I can tell you that the intersection between the financial industry and the healthcare industry is real. There’s a lot of, as you see, innovation and juxtapositions happening all over the place, whether it’s a coffee shop in a grocery store or a nail salon in a retail store. It’s happening everywhere but WellQ is leading the way to being a major disrupter in our area. I really think that Ashley and Dr. Satterwhite and the two organizations they represent were really ahead of the curve in terms of bringing this to fruition. I guess I would just say watch out because you’re going to see it soar. Cameron: Anything else, Ashley, that you wanted to add? Ashley Kohlrus: I think just a continued appreciation and creating awareness of the two health and financial care coming together, just a continued appreciation and awareness of the importance of putting them hand-in-hand because as an organization who wants to help [inaudible] Allegacy, make a smart financial choice, and to do the right thing for someone’s well-being, those are so similar for so many credit unions in terms of vision and mission. Ashley Kohlrus: The next step for those credit unions that have alignment, continue to find partners in their community where they can make a small difference and where they can start seeing those incremental improvements to their community, to their members, to their employees, and have engagement from across the organization because I think when you see employees first, again, ours has been a marathon not a sprint, but to see our employees first and the journey and how we’re really impacting the lives positively, it means so much to having a purpose-driven work and then obviously, just that continued passion for the organizations who are considering this will help them through the journey and it will help them on those days where there’s some bumps along the way but remembering why you’re doing it and who you’re doing it for makes it all worth it. Cameron: All right. Thank you guys so much for joining. Love what you guys are doing. Big supporters. The website is YourWellQ.com, correct? Cameron: All right. Thank you guys. Hope you have a great rest of your day and appreciate all that you guys are doing, both for your community and for the whole credit union sector. Ashley Kohlrus: Thank you, Cameron. We really appreciate your time as well. Thank you so much. Karen Sigmon S.: Thank you, Cameron. Cameron: I love the comment that if you’re going to do something like this, you have to start with the employees first and then the community, that Allegacy went on a many-year journey of really figuring out how to walk the walk internally first before they could go out to the community. Cameron: The second thing that really struck me is while a program like WellQ is big and innovative and hard to do, that they started with what they called this All-Health Account and it’s just a simple way to link mental and physical well-being to financial well-being by rewarding people for the number of visits that they make to the local YMCA with better rates. Cameron: The third thing was I really love this framing and I think it was so true that often in financial wellness and in the healthcare industry, people focus on what’s wrong with folks, and that they say it’s not about what’s wrong with you; it’s about what’s right with you. A reminder that we all have the resources to heal ourselves, but we often don’t do the right thing for ourselves and our families because we’re afraid of the cost. Cameron: I think it’s really interesting to look at an initiative like this through the lens of awareness building and that in this case, it’s a different approach because we are going to be addressing unknown, unmet needs. This is not like a car loan or a checking account or a mortgage, something which is very standard and well-known to consumers, but it is a deeply felt, unmet need that we all have in this day and age. Cameron: I think it’s a very good point that while it may take a little bit of work, there’s plenty of research data out there that makes the business case for an interlinked approach to financial and physical and mental well-being, and this is no longer just a theory. I find this really exciting as one of the best opportunities to do good and do well as organizations in the world. Cameron: Lastly, I love this notion that I always wonder what the success metrics are for any organization. How do they measure success? How Karen said that, “We measure success when someone gets it. They understand that their health and finances are inextricably linked.” That’s how they’re planning on changing the trajectory of community health outcomes in their particular area and that’s the opportunity that we all have as local cooperative organizations. Cameron: Thanks for joining us today for another great episode. Please join us next time for a conversation about how credit unions can partner with employers to provide small dollar loans that protect employees against predatory lenders, increase retention for employers, and make your credit union more profitable and connected to its members. Cameron: Until then, I wish you the best of luck in making your credit union remarkable. Got a question? Comment? A groan-worthy pun?Send us an email here, and a real human will write back.